Whether you're on the boat or getting through a rain storm, important gear like matches, boat licenses and camping permits will stay dry inside the Coleman Large Watertight Container. 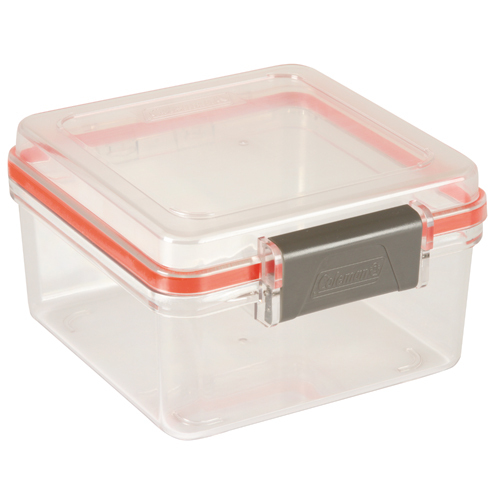 This canister includes a sealing ring to keep water out and a lid latch to keep it shut tight. It also comes with a carabiner to hook the container to the outside of a backpack. - Size: 6.75" x 7" x 3"